Eddie Tealer hosted his first campus convocation as college president on Jan. 17. 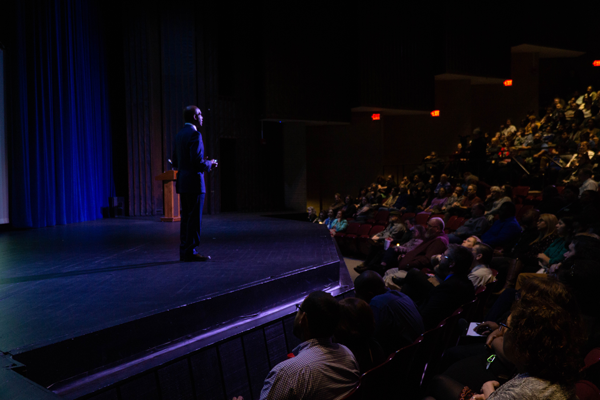 The convocation was attended by campus faculty and staff and held in the Performance Hall. The event introduced new employees, included a “Get to Know Tealer” game and employment anniversaries were awarded. Tealer also touched on Eastfield’s future under the Dallas County Community College District’s Master Plan.